This month’s full moon may technically only last a few moments in time, yet the beauty can be witnessed for a few nights. This year’s highlight was on August 18th at 2:27 PDT yet can be appreciated for a few nights before and after the actual timing. The August Sturgeon moon is also known as the Full Green Corn Moon or Grain Moon by some Native American tribes. Other cultures have different names such as the Harvest Moon in China, or theDispute Moon from the Celtics. Because it is winter in the southern hemisphere those ‘down under’ see this as the Snow Moon, Storm Moon, Hunger Moon and Wolf Moon. One thing most agree, it was a pretty incredible moon! “This photo was taken last night. The Sturgeon moon was out and took the opportunity. 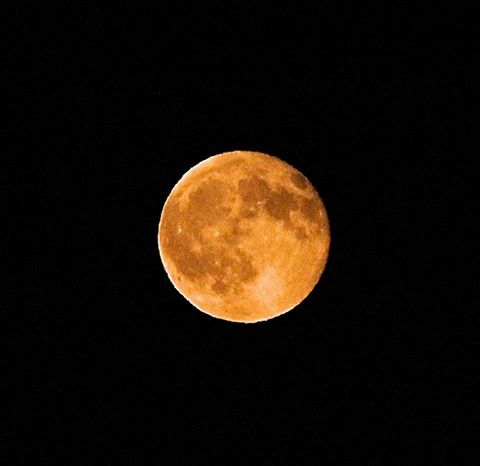 First seasonal moon photograph I’ve taken.” Nicholas Vejmola writes.